Yee I-Lann, a leading Malaysian photo artist presents a series of manipulated photographic prints. 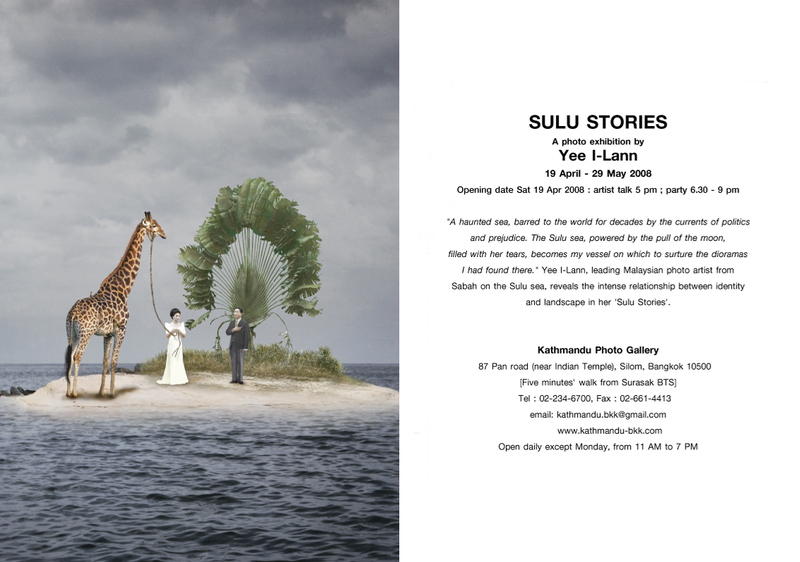 Coming from Sabah on the Sulu sea, she reveals the intense relationship between identity and landscape in her 'Sulu Stories'. "A haunted sea, barred to the world for decades by the currents of politics and prejudice. The Sulu sea, powered by the pull of the moon, filled with her tears, becomes my vessel on which to surture the dioramas I had found there." The Launch of "As Yet Unnamed"
"The Mons in Siam: Ethnicity, Roles, and Lessons"